Tabitha "Tabbi" Reddy believes in signs. Like fortune cookies. Magic 8-Balls. Shooting stars. And this year, she hopes, looking for the right signs will lead her to the right boy! Inspired by her BFF, Kara (star of THE BOY PROJECT), Tabbi starts her own "project" in the hopes of finding a cute crush. 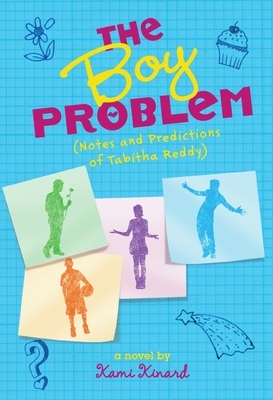 With the help of a math lesson on probability, Tabbi tries to predict who the right boy for her might be! Where is she most likely to meet him? What is he most likely to look like? Full of fun illustrations, hilarious equations, and lessons in cupcake-baking, life, love, and friendship, this book has a 100% probability of awesomeness. A perfect "next step" for fans of DORK DIARIES. Kami Kinard enjoys writing about the boyfriend quest more than she enjoyed experiencing it. A teaching artist on the SC Arts Commission's Roster of Approved Artists, she writes from Beaufort, South Carolina, where she lives with her husband and two children. Please visit her online at: www.kamikinard.com.